Don't say that! I have a garand and I'm buying a carbine! 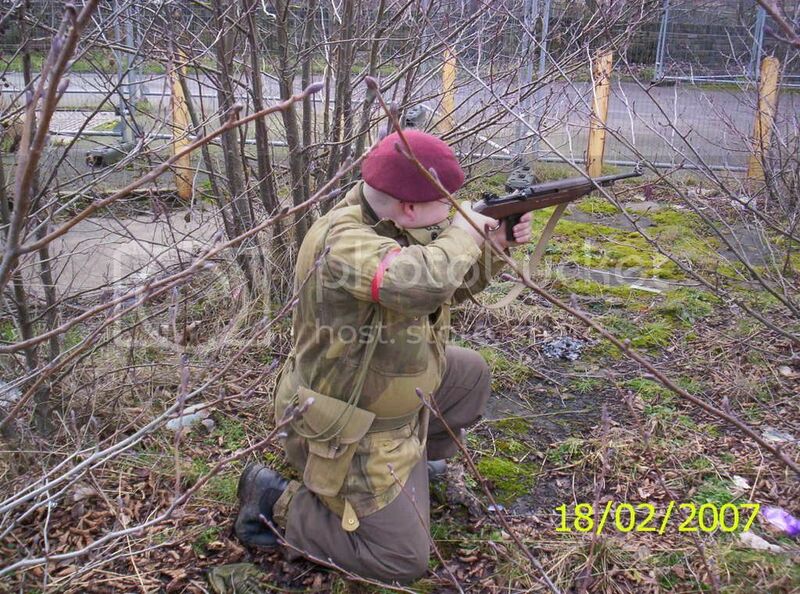 I used to have a Garand, but Ive swapped it for an AEG 1, they are really poo in cold weather, and unfortunately thats most of the year in england. Yeah, I know. I'm gonna tighten it all up when I get paid and can do it properly, so hopefully it'll be a wee bit better then. It sure is purty, though. So, who of you lot is gonna play Liam Devlin then...and kiss Steiner dressed up as Molly ?? As to the question if I've read the sequel, I'm afraid not (yet). Join Now! Be a Star Pirate! Mr_Flibble wrote: So, who of you lot is gonna play Liam Devlin then...and kiss Steiner dressed up as Molly ?? Er... admins, shut this thread down immediately!! If Steiner turns out like this then call me Liam!! I'mSparticus, oh I mean Devlin. Steiner wrote: Er... admins, shut this thread down immediately!! Chomley-Warner wrote: If Steiner turns out like this then call me Liam!! Right, fortunately this pic is blocked by my work, but this thread is taking a sinister turn! I am armed and dangerous - if anything tries to enter my tent, I shall open fire! Kavster wrote: Yeah, I know. I'm gonna tighten it all up when I get paid and can do it properly, so hopefully it'll be a wee bit better then. It sure is purty, though. Its not the power mate, its the reliability of the blowback that causes the damn thing to jam all the time. You have to keep them very well looked after, I would imagine the M2 would be even worse if it is full auto,... like a glock 18C, full of trouble!